With the long weekend almost upon us, there have been many querying what is and isn’t open in the Grampians. The following is a current update on the situation. As it notes below, there has been significant damage to a number of the popular climbing areas. Please respect the closures . 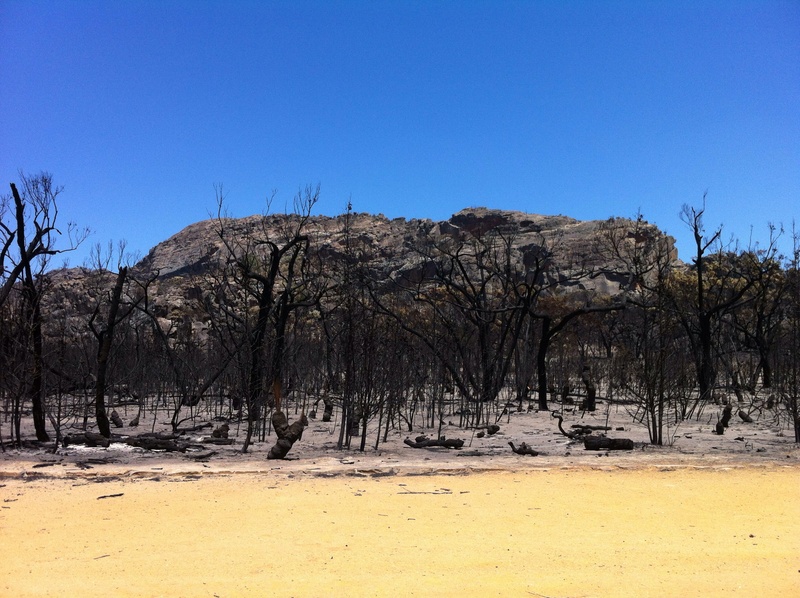 A lightning event across the Grampians National Park on 15 January 2014 caused a bushfire that swept through the northern end of the Grampians National Park. The fire remains active in some areas but is contained. There has been significant damage to Summerday Valley and the Hollow Mountain climbing areas and infrastructure. The Stapylton amphitheatre and access to Taipan Wall has also been impacted. All climbing and bouldering areas in the northern part of the Grampians National Park are closed, including the Watchtower. Parks Victoria will re-open affected areas as soon it is safe to do. This may take some time as there has been significant damage to the environment and infrastructure. Please respect the closures in place and consider alternative climbing areas. The Grampians still remains a great place to climb and enjoy the outdoors. Below is a list of climbing and bouldering areas, and roads that are open within the Grampians National Park.